Klimt, originally uploaded by indiaeden. Today was a day for inspiration,and good company. 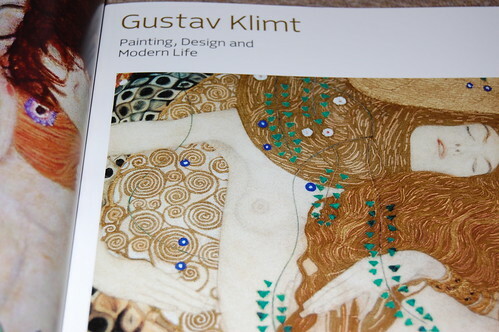 I spent the day with two friends at the Tate Gallery in Liverpool,at the Gustav Klimt exhibition. I really want to visit this, been meaning to for weeks. I think we will this weekend. Fiona, if you are going,I'd recommend buying your tickets online before hand. I was so glad we did that after I saw the queues for tickets.